The Boston Marathon Expo was AMAZING!! Best of all were the UNIQUE and high quality products at Marathon Gift Collection HERE. The Marathon Gift Collection offers an array of unique and very special presents designed specifically for marathon runners. 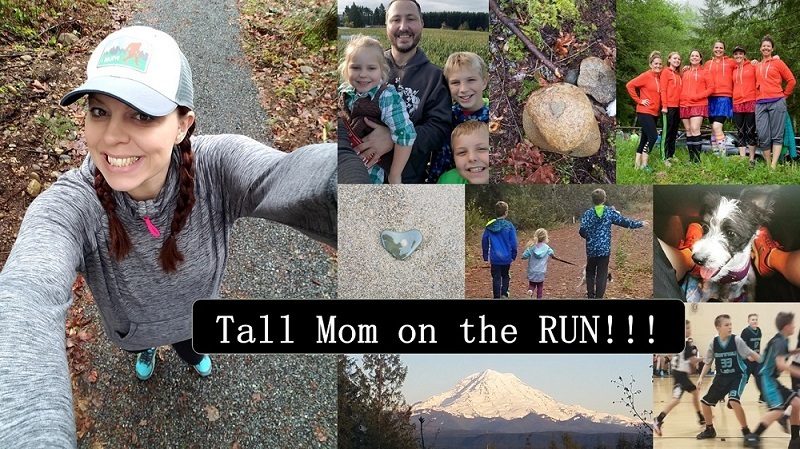 The line currently includes beautifully hand embroidered commemorative pillows, elegant sterling silver jewelry, colorful water bottles, beach towels and t-shirts with an inspirational running mantra. The company has officially licensed products for the 2011 Boston Marathon. I instantly fell in love with the Pillow below.. 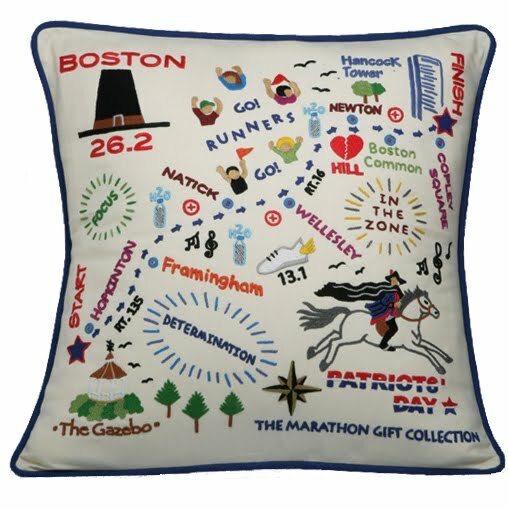 This exquisitely hand embroidered pillow depicts the route of the historic Boston Marathon – the oldest and most prestigious American Marathon. From the start in Hopkinton, through the towns and neighborhoods along Routes 135 and 16 to the “infamous” Heart Break Hill and onto the Finish Line next to the Hancock Tower – each and every highlight of the famous race is colorfully featured here. This COMMEMORATIVE pillow is a life-time keepsake and a wonderful memento to reward your amazing achievement. Pillow Dimensions: 18×18 inches. 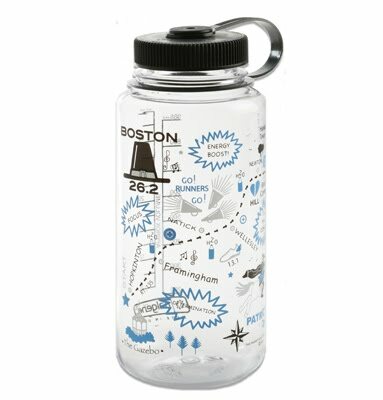 The historic Boston race course is colorfully captured on this durable, high quality and BPA free 32 ounce, wide mouth Clear Nalgene bottle. TRUST ME this is an AWESOME way to celebrate the accomplishment, or to purchase to INSPIRE you to work toward the goal in the future. The Marathon Gift Collection also has Products for the Chicago Marathon, Marine Corps Marathon and NYC Marathon. Go SHOP HERE..
What a great idea! That water bottle is awesome! Loving that pillow. Such great things to remember the Boston Marathon. Ohh how cool is that! Hope you treated yourself. :) Will definitely scope it out when we run Chicago next year!